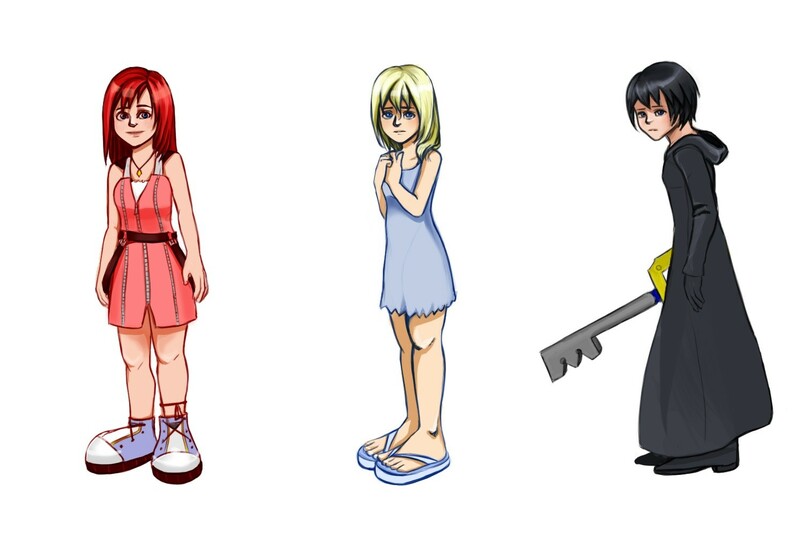 Kairi, Namine, and Xion from the Kingdom Hearts series. Wow! Pretty accurate! Even the giant feets!